Fatima Rosary Rally on Sat. 10/14/17, 12 noon. Let us pray for world peace and the conversion of hearts. 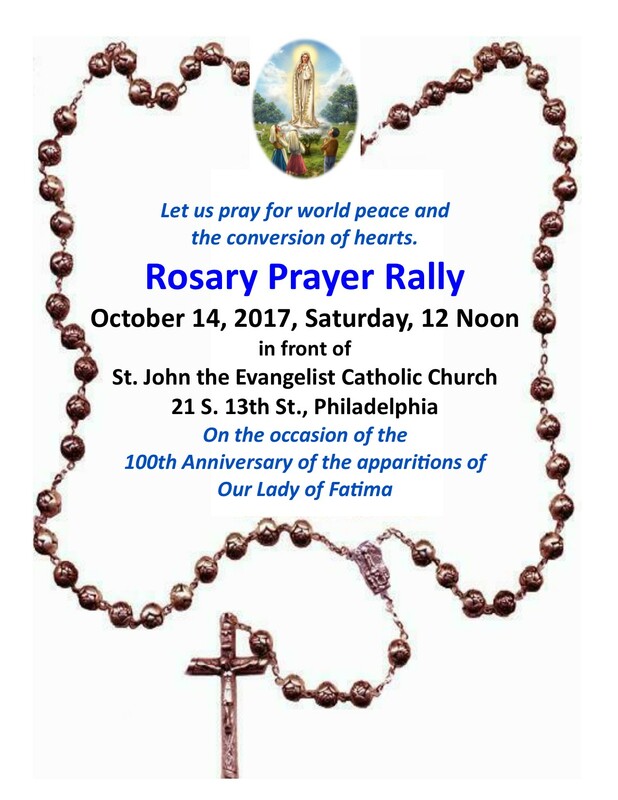 Rosary Prayer Rally October 14, 2017, Saturday, 12 Noon in front of St. John the Evangelist Catholic Church 21 S. 13th St., Philadelphia On the occasion of the 100th Anniversary of the apparitons of Our Lady of Fatima.